If you live near downtown Royal Oak, you recently may have had an unexpected knock on your door from Rabbi Moishie and Mushky Glitsenstein bearing gifts of honey cake. 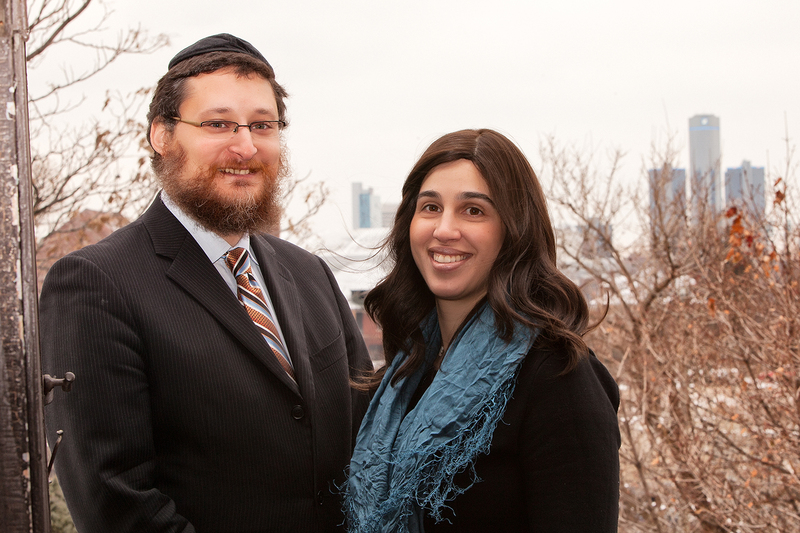 The Glitsensteins are Chabad shluchim (roughly translated to emissaries), brought to Royal Oak by Chabad Lubavitch of Michigan, and are the founders and co-directors of the newly opened Royal Oak Jewish Center. Knocking on doors might seem a little forward, but the Glitsensteins are serious about getting to know the Jewish community members of Royal Oak, one at a time. For them, this is a critical first step in the work that they came here to do. 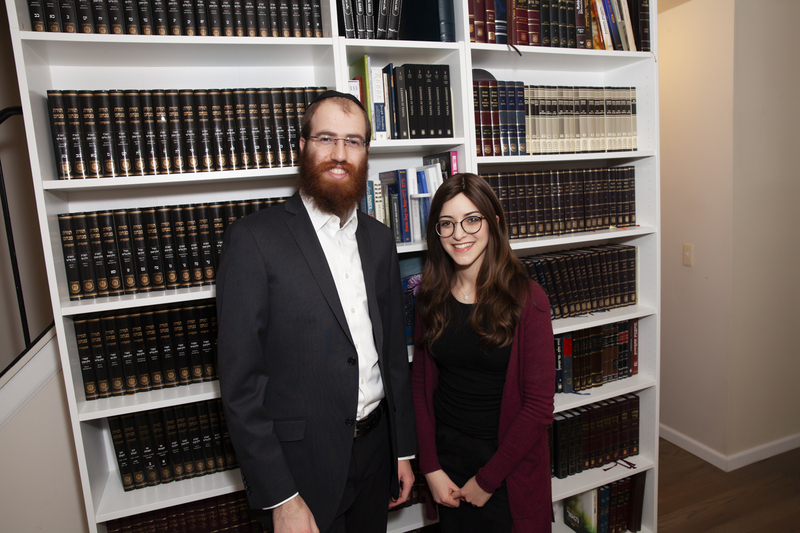 At its core, the Royal Oak Jewish Center is a Chabad house, one of thousands across the world, serving Jews in every environment from major cities to remote locations. Chabad houses provide Jewish locals and travelers with everything from kosher food, Shabbat meals and religious services to programs, classes, events and a way to meet other Jews wherever they are. 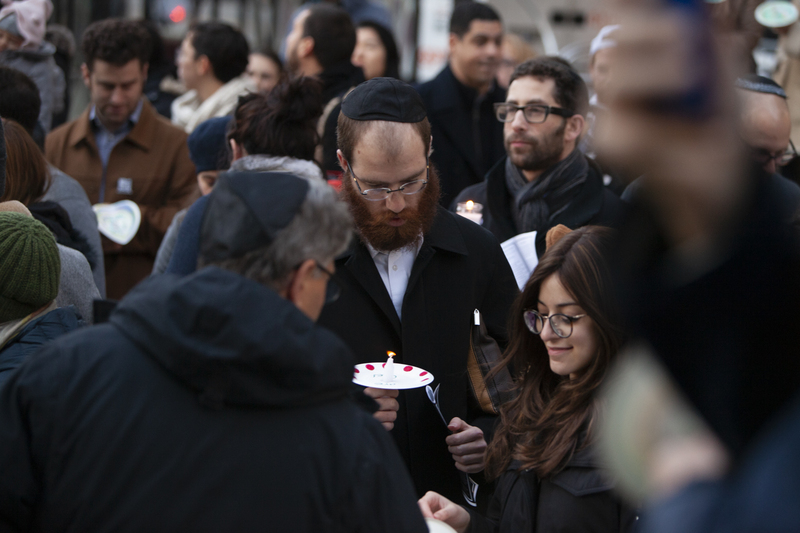 The international network of Chabad houses is a key component in the Lubavitcher Rebbe’s, the leader of the Chabad movement, mission to seek out every Jewish person, regardless of background or observance level, and help them find meaningful ways to connect to their Judaism. Both Mushky and Moishie come from families that have been running Chabad houses for generations. Over 60 years ago, Mushky’s grandfather, Rabbi Berel Shemtov, was the first Chabad representative sent by the Lubavitcher Rebbe to start a Chabad house in the United States, right here to Metro Detroit. Coincidently, Mushky’s first cousin and her husband were sent to South Dakota a little over a year ago — the last state in the county to open a Chabad house. 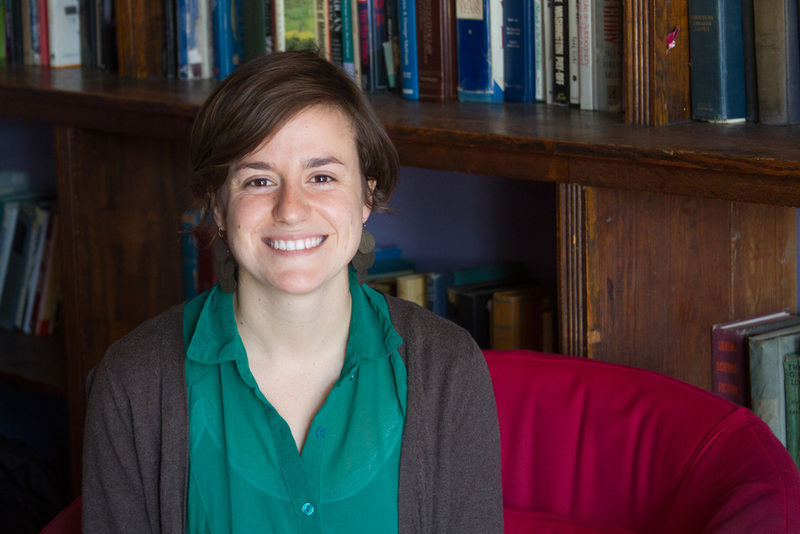 Mushky grew up in her parent’s Chabad house in Bayside, Wisconsin, before coming to Metro Detroit in 6th grade to learn in the Lubavitch schools here. 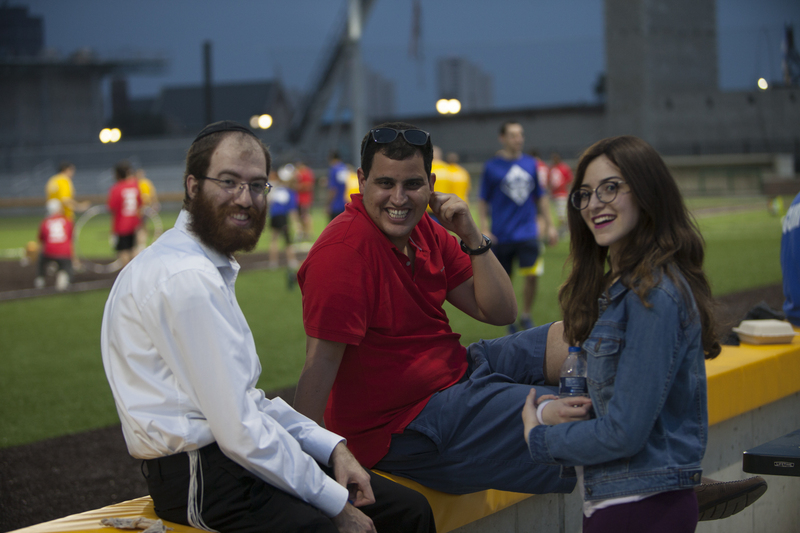 The international network of Chabad houses helps every Jewish person find meaningful ways to connect to their Judaism. Moishie is originally from Eilat, where his father was sent in the 1970s to open one of the first Chabad houses in Israel outside of Jerusalem and Kfar Chabad (a town made up of almost exclusively Chabad families). 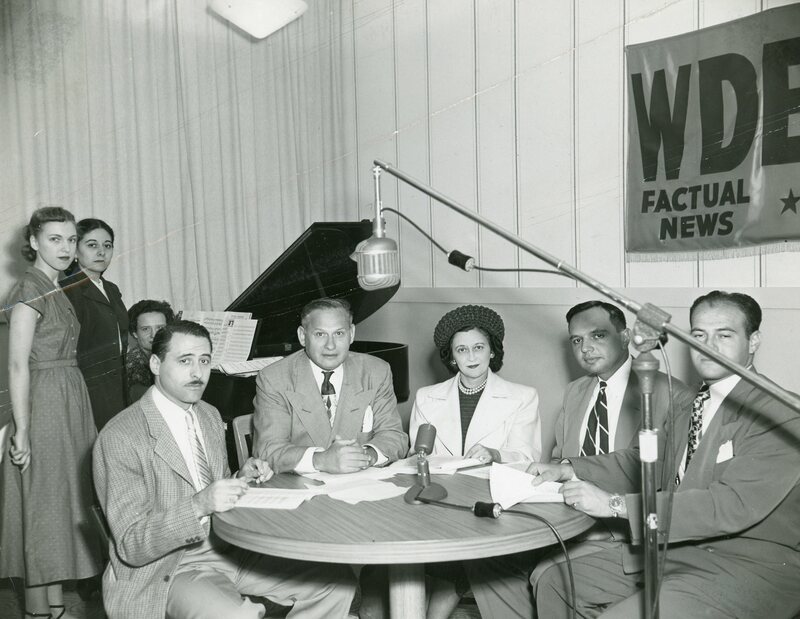 “In those days, my grandmother had to send kosher meat from Jerusalem to my father, and my father or one of my older brothers would to travel to a nearby village to get milk,” said Moishie. Moishie grew up the eleventh of thirteen brothers in the Chabad house in Eilat. Now, his brothers and their families also run Chabad houses all over the world, from Ukraine to Budapest to Alaska. 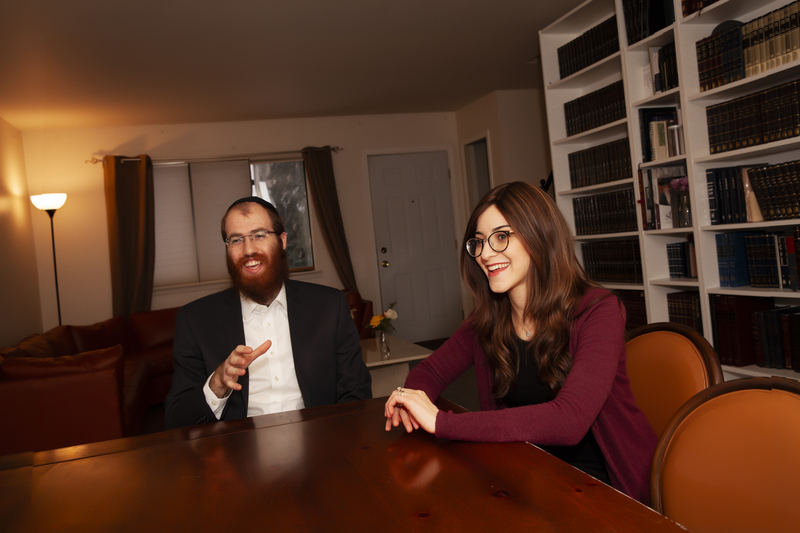 While the couple has plenty of experience living and working in Chabad houses, they are finding that it’s a whole new adventure when it comes to establishing their own. In addition to people who have lived in Royal Oak for decades, the Glitsensteins are also meeting a lot of young adults who are relatively new to the area and looking for a way to connect. 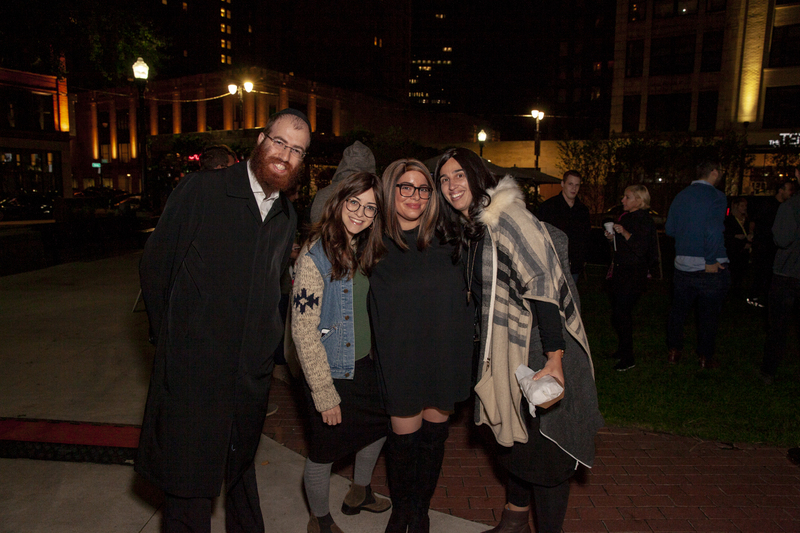 Royal Oak has been a highly desirable location for young people for several years, and the Glistensteins are happy to be in a position to connect young Jews to one another and work together to create a close-knit community. Whether an out-of-towner recently moved to Metro Detroit for a job, or a young couple starting a family, the Glitsensteins are at the ready to welcome. The Glitsensteins aren’t just meeting folks by knocking on doors, they’re getting out into the community, going to events around Royal Oak, joining community groups, they even strolled down Main Street with a lulav over Sukkot. Mushky especially loves exercising and socializing with moms at Fuse45 Royal Oak. The City of Royal Oak has been exceptional welcoming to the Glitsensteins, notably the city’s Community Engagement Specialist Judy Davids, who is the force behind Royal Oak’s new campaign “Rethink Royal Oak.” Judy made sure the Glitsensteins were at the city’s recent police station groundbreaking, which proved to be great opportunity to meet people and get the word out about the new Jewish Center. Having moved in just before the High Holiday season, the couple set up a sukkah in the backyard and hosted multiple meals over Sukkot. They’ve also been having folks over for Shabbat Friday night meals almost every week in their new home on Lincoln just off of Woodward. And while the Jewish Center has only been open for a few months, the couple already has done some amazing things. If you would like to learn more about the Royal Oak Jewish Center, you can visit their website at jewishroyaloak.com, find them on Facebook, shoot them an email at moishie@jewishroyaloak.com or give them a call at 248.571.9197. The Glitsensteins would love to meet you!